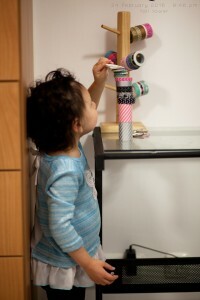 She found the washi tape and needed to build a tower with them! Her first real snow day in Germany… It didn’t last long, but she had the best day ever! She has wanted to build me towers or castles lately – it’s so sweet. So she built Mommy a tower then went to read a book before bed. 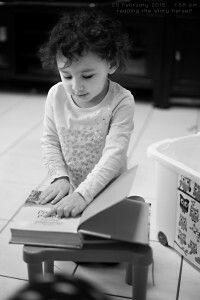 She wanted to read the story all by herself… I hope she keeps her love of books her whole life!